Fresh Fruits and Veggies are rolling in! 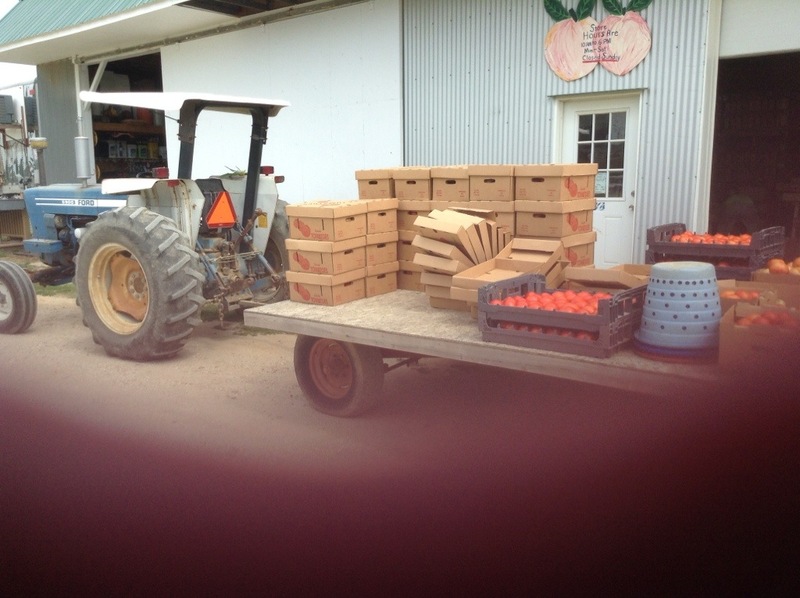 Things are rolling right along and gaining momentum here at Pickett’s Harbor Farms! 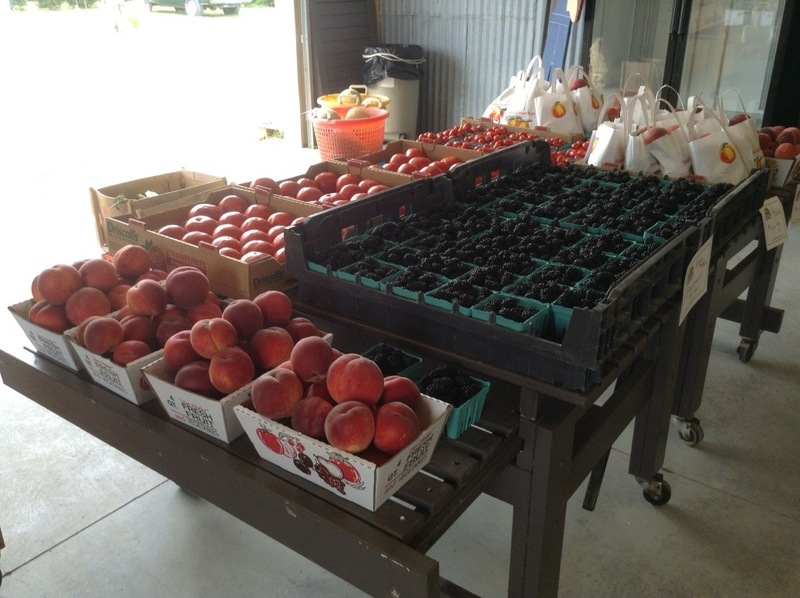 Our peaches, tomatoes and other produce are in full swing. Now is the time to pick up your produce for jams, jellies, canning and freezing Stop by the Farm from 10 am until 6 pm, Monday through Saturday. 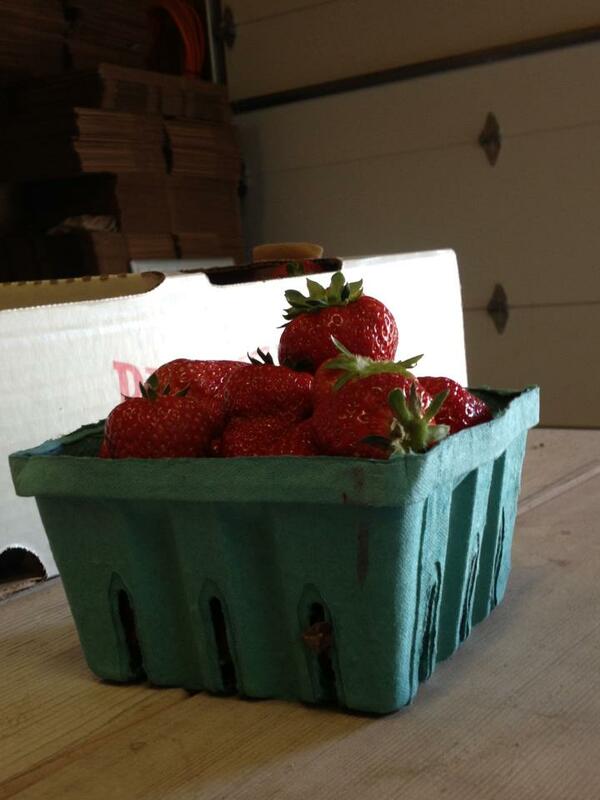 Strawberries have been SLOWLY coming in here at Pickett’s Harbor Farms. The weather this spring simply has not been very favorable for these delectable delights. Still, we do have a crop and slowly the berries are becoming ready. This week, we made the decision to offer the crop as “Pick-Your-Own.” Come by and grab a quart basket (as seen in the picture above), head out to the field and feel free to hunt down your strawberries. We estimate that there will be a fair amount of berries by the weekend of May 10; however, the weather is unpredictable and therefore, so is the berry-yield. There are a few tips to keep in mind when harvesting strawberries. Here is some good advice regarding how to pick and select your own: click here Bear in mind, you should pick strawberries when they are red and ripe – they will not ripen once picked like other produce might. The less handling, the better they will keep. Strawberries are delicate and may bruise easily. Call ahead to get an idea of what’s available in our crop – we will do our best to get back to you before you come by. We hope to see you all soon on the Farm! If you are unable to pick your own or know someone who is, please give us a call and leave a message. Our farmhands will be happy to assist you. Call (757) 331-1610 or email pickettsharborfarms@gmail.com. We are often out “working in the field” but we will return your calls and emails as soon as possible. Do you have a STRAWBERRY RECIPE you would like to share with us? Please feel free to leave it in the comments below. Welcome to Pickett’s Harbor Farms! Welcome to our new informational blog!